We are offering our valuable clients with a superb range of Pink Cotton Voile Fabric. This cotton voile fabric is woven with the usage of the best quality cotton yarns and advanced machines by our innovative team of professionals in tune with the market quality standards. The cotton voile fabric provided by us is highly applauded by the customers due to its unique features given below. 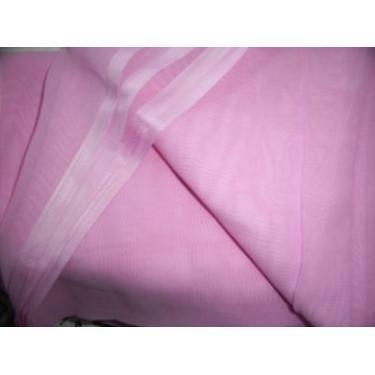 Available in pink color, this cotton voile fabric is provided at market leading price to our respected colors. Established in the year 1971, we, “The Fabric Factory (a Unit Of B. R. Exports)” are an eminent organization, engaged in manufacturing, exporting and supplying a commendable assortment of Fabrics and Fancy Curtains. Under this range, we are providing to our valuable customer Brocade Jacquard Fabrics, Silk Satin Fabrics, and Silk Taffeta Fabrics. Our offered products are acknowledged across the market for their features like attractive design, stylish look, and fine finishing. Our offered curtains are designed from the optimum grade fabrics, yarns and threads in accordance to the industry defined norms and standards. We are offering these curtains in various size options to meet the requirements of our huge client base. To satisfy our clients in an effective manner, we are offering then best quality curtains range. For this purpose, we have developed a well-equipped infrastructure unit at our end. With the help of this infrastructure, we are able to deliver our products on time as per their precise requirements and needs. Our professionals are fully versed with the choice and preferences of our valued customers so they are providing products accordingly. We are also able to deliver the bulk order requirements of the curtains across the nation.